When a cafe in the NSW Blue Mountains needed a fresh logo and packaging for its famous granola, it enlisted Sydney design agency Fresco Creative. The granola had proved a popular item on the menu of Il Postino Café in Wentworth Falls, and the owner, who guarded the secret recipe, wanted to expand its reach. Her vision was to recreate the nostalgic feel of packaging from the 1940s and '50s, and she asked Fresco to thoroughly research the era. The team's concepts referenced two different post-war design approaches. 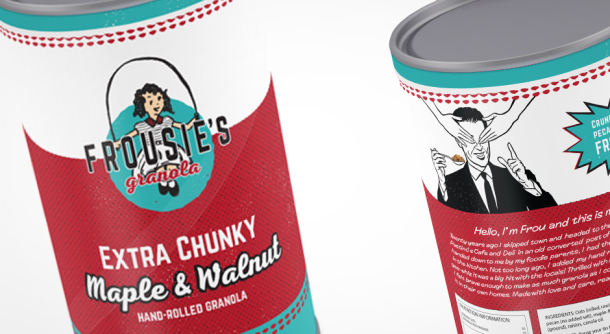 Both the character design and the label structure achieved the owner's original goal of a classic and eye-catching cardboard canister look.